KI Jewelry. 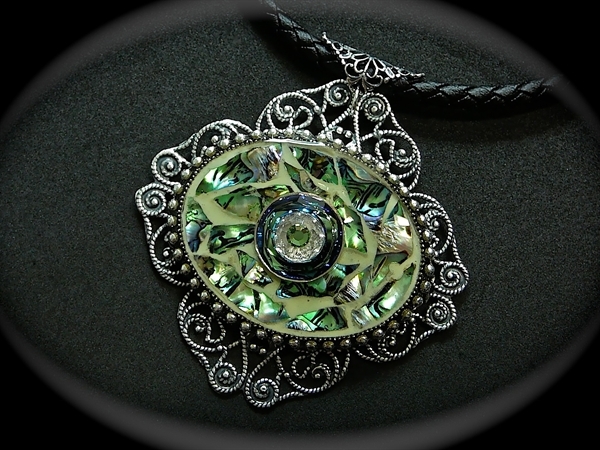 Abalone shell, Swarovski, glow in the dark pain, resin and antique silver brass. 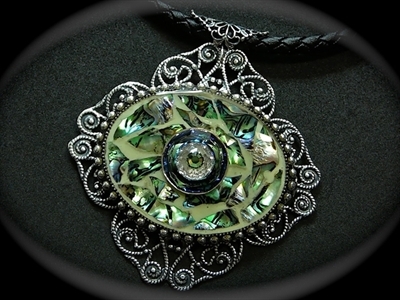 Abalone shell, Swarovski, glow in the dark pain, resin and antique silver brass. Necklace length 44 cm. / Pendant size 6 x 6 cm. Antique Silver brass utilizes real silver in the plating process. A protective lacquer has been applied to this process to protect the finish from tarnishing. Using real silver allows this finish to be bendable without the plating popping or cracking. This color has a beautiful shine finish. Do not use a polishing cloth, paste or other methods to polish the items, as you will remove the protective lacquer and will have unprotected brass. A damp cloth is all you need to clean the items. 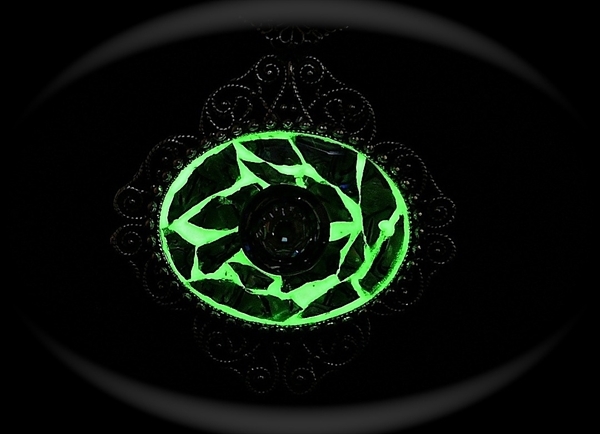 Copyright © 2019 KI Jewelry. All rights reserved.